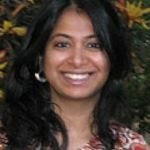 Surabhi Ranganathan was an institute fellow at IILJ from 2006-2008, where she worked on projects relating to the regulation of Private Military and Security Companies, and Global Administrative Law. She is currently a University Lecturer in International Law, a Fellow of the Lauterpacht Centre for International Law, and a Fellow and Director of Studies in Law (Parts IA & II) at King’s College, University of Cambridge. She is also a fellow of the Cambridge Centre for Environment, Energy and Natural Resource Governance (C-EENRG). Her research explores histories and politics of international law, with a current focus on the designation, representations and regulation of global commons, especially the deep seabed. Surabhi is the author of Strategically Created Treaty Conflicts and the Politics of International Law (CUP 2014)—a study of international legal thought and practice, exploring treaty conflicts in nuclear governance, the law of the sea, and international criminal justice—and asst. editor of The Cambridge Companion to International Law (CUP 2012). Her work has appeared in numerous journals, including the British Yearbook of International Law, American Journal of International Law and European Journal of International Law. Her research has been selected for presentation at the peer-reviewed NYU/Nottingham/Melbourne Junior Faculty Forum for International Law and Stanford International Junior Faculty Forum. Prior to joining the Faculty of Law, Surabhi was an Assistant Professor at the University of Warwick (2014-2015) and Junior Research Fellow at King’s College and Lauterpacht Centre for International Law, Cambridge (2012-2014). She has also been an Institute Fellow and Program Officer at the Institute for International Law and Justice, NYU School of Law (2006-2008), where she worked on projects relating to the regulation of Private Military and Security Companies, and Global Administrative Law. She received her B.A., LL.B. (Hons.) from the National Law School of India University, her LL.M. from NYU School of Law, where she was a Vanderbilt Scholar, and her Ph.D. from Cambridge University, where she was a Gates Scholar, an Overseas Research Scholar, and JC Hall Scholar at St. John’s College. She has clerked for Justice Brijesh Kumar of the Supreme Court of India, and interned with UNHCR, UNICEF, the Telecom Regulatory Authority of India, and the Central Empowered Committee for the Environment established by the Supreme Court of India. She has also been a research assistant to Professor Tom Franck.